New. Mass market (rack) paperback. Glued binding. 407 p.
I have already shared the book with my brother. However, this review process is rediculous!!! 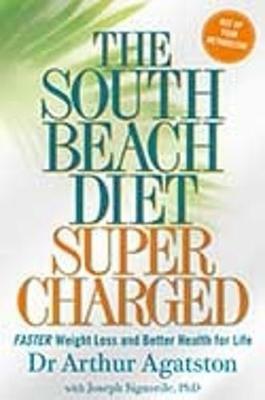 My husband and I have been on the South Beach Diet since Sept 1 - thus far I've lost 32 lbs and my husband has lost 40 - he has 20 more to lose - I have 60 - but I'm headed in the right direction - gonna live these upcoming years anyway might as well live them well... So! I went on a hunt for every "South Beach Diet" cookbook I could find and found this here and could not belive the price - was a little skeptical it would be in good condition - but my friend and I have both used Alibris for other books and have ALWAYS been pleased - so I gave it a try and was delighted - it was in excellant condition and was delivered earlier than promised! Made a "believer" out of me!